Williams began his career in his native Yorkshire with Barnsley. A left-back who can also play on the left side of midfield, he progressed through the ranks at Oakwell to make more than 70 first team appearances. 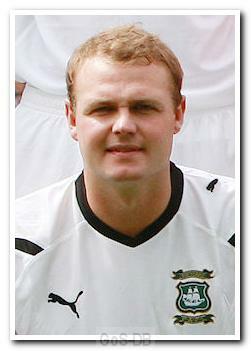 After making his debut in 2002 he struggled with knee injuries and could not establish himself in the first team on a consistent basis over the next four years, but was a member of the squad that won promotion to the Championship through the play-offs in 2006. Williams spent the last two months of the 2006-07 campaign on loan at Blackpool and scored their first goal in the play-off final win, which saw them secure promotion to the Championship. In July 2007 Barnsley agreed a fee with Huddersfield Town but the deal was delayed when a medical revealed a hairline fracture in Williams' shin. However, the transfer was completed the following month for an undisclosed fee. 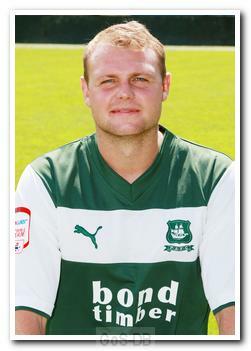 It was a further five months before he made his Terriers debut and despite regular first team appearances over the next two years he lost his place in the side during 2009-10 and was released at the end of the campaign. The Pontefract-born player joined Stockport County in August 2010, initially on a temporary contract but shortly afterwards on a permanent basis. He appeared regularly in the team for the first half of the season but was then allowed to join Rochdale on a free during the transfer window. 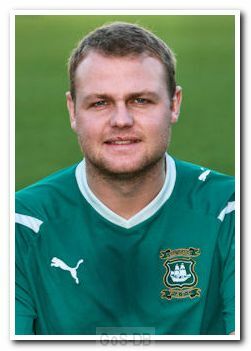 He was released at the end of the season having made just nine appearances for the club and signed for Argyle in July 2011. A regular in the side at left-back for the first three months of the 2011-12 campaign, Williams lost his place after being sent off in the drawn first leg of the FA Cup tie with Stourbridge. It took him a further three months to regain his place, but he finished the season as first choice and signed a twelve month contract extension under Carl Fletcher. The burly Yorkshireman eventually became no more than a bit-part player and his contract was cancelled by mutual consent in January 2013. A month later, the man with a slightly more famous namesake teamed up with Limerick in the League of Ireland Premier Division. By the start of 2017 Williams was in his fourth season with Limerick and had made more appearances for the Shannonsiders than for any other of his clubs - over a century - having netted eleven times and also winning the League of Ireland First Division title with them in 2016.